The Eucharistic Tent was designed and built to be used at the annual Walk With Christ event held by the Catholic Archdiocese of Sydney. The tent is inspired by medieval tents of the English and French royalty. As such it fits perfectly within the neogothic ecclesiastical architectural setting for which it was designed. 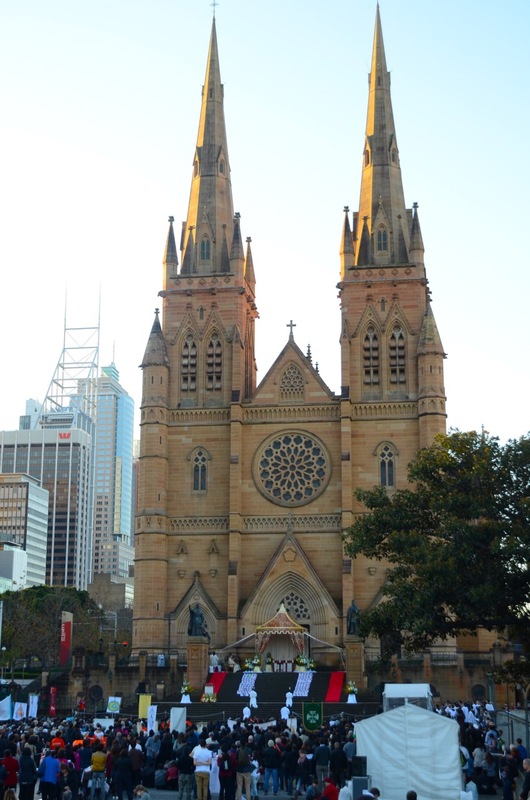 It is set up on the steps of St Mary's Cathedral throughout the event as the main focal point for public worship. 6m in height and 4m in depth and width,it is furnished with custom-designed waterproof fabric across all 4 walls. It has the flexibility of expanding from 4m to 8m in width by extending the side walls as well as being able to be erected upon a variety of surfaces, including grass and concrete. This makes it versatile in being able to be used for a variety of events and purposes.